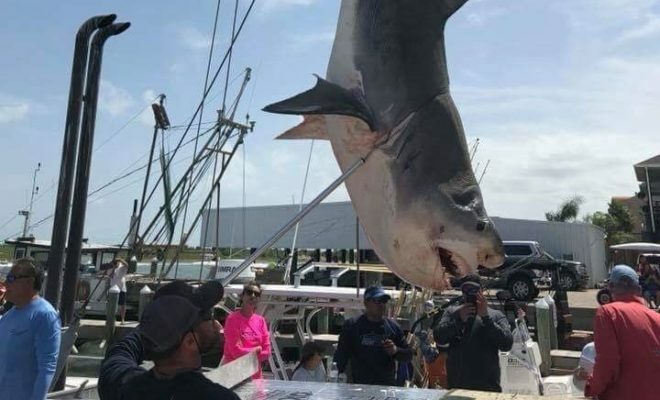 On Saturday, August 11, a team of anglers reeled in a tiger shark that was 12-feet in length, weighing in at 739 pounds. 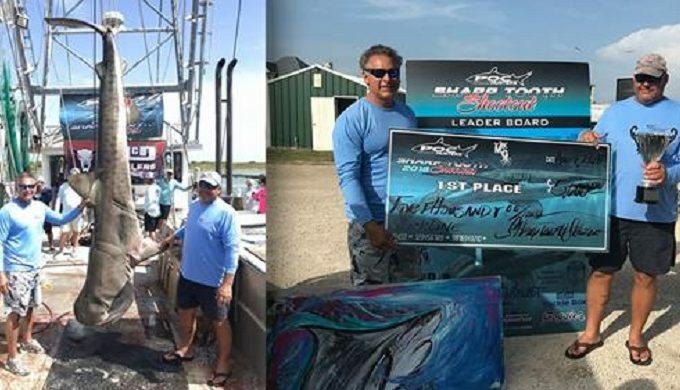 The anglers were participating in a Port O’Connor Sharp Tooth Shootout fishing tournament. Caught off the coast of Texas, the shark attracted hundreds of viewers over the course of the weekend. Tiger sharks rank at second place behind white sharks as those most likely to attack humans. 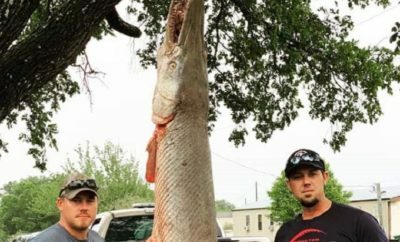 Kerry Henry and his team of fellow anglers captured the 12-footer following a bit of a struggle. The team was anchored when the shark came straight at them. The fishermen held on as the shark realized it was hooked and fought to break free. Henry wasn’t even sure what type of fish they were fighting when it occurred. They knew it had to be big because of its strength, but they didn’t see the massive shark until the last few moments of the struggle. 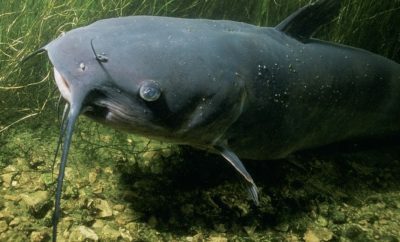 The enormous fish was chased by the team of anglers over more than half a mile and two hours. That was when the shark finally conceded defeat. News of the giant catch spread throughout Port O’Connor. While the tournament was wrapping up, hundreds of people came to see the enormous shark at the weigh-in. 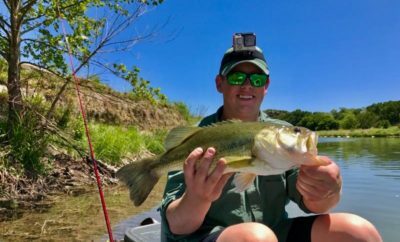 The anglers took home first place for the tournament and a prize of $5,000. Henry plans on having the shark’s jaws mounted and then donating the fish to a local church to feed the less fortunate.